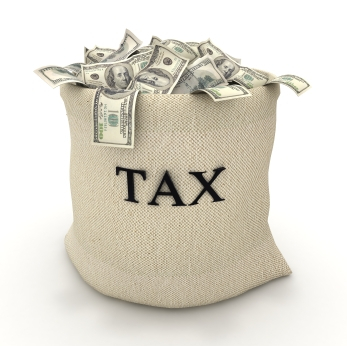 The TurboTax Blog > Taxes 101 > Who Can Qualify for Free Tax Filing with the Form 1040EZ? Who Can Qualify for Free Tax Filing with the Form 1040EZ? Although filing an income tax return is not a straightforward exercise for most people, some taxpayers can file a condensed tax return using Form 1040EZ. While the 1040EZ might not be as simple as you’d like, it’s about the uncomplicated form the IRS has available. Still, not everyone can file a Form 1040EZ. Here’s an overview of the ins and outs of the 1040EZ. Who is Eligible to File Form 1040EZ? 1. You can’t have any dependents. Consequently, most folks with minor children at home are automatically ineligible to use this form. 2. Your taxable income must be under $100,000. While it’s possible you could make a tad over $100,000 (since you subtract your standard tax deduction and personal tax exemption from your gross income to determine your taxable income), no $150K plus earners are allowed anywhere near the EZ. 3. You must be single. Or married – and want to file jointly. Said another way, if you prefer to file as married- filing separately or as a head of household, you can’t do so using Form 1040EZ. 4. You didn’t (and don’t want to) make a tax deductible IRA contribution. No adjustments to income are permitted on Form 1040EZ. This means no tax deductible IRA contributions, no tax deductions for alimony you paid, no tax deduction for any student loan interest you paid, in addition to more than ten other tax deductions you might qualify for. Who Shouldn’t Use a Form 1040EZ Even If They Can? Although it might be easier, you should avoid using the Form 1040EZ if you could claim the the first time home buyer tax credit. In addition, if you paid property taxes, you’ll want to file Schedule L to take advantage of a higher standard deduction, an option is unavailable to EZ filers. In short, virtually any homeowner will be better off avoiding Form 1040EZ, as all itemized deductions- including home mortgage interest and property taxes – are not tax deductible absent a Schedule A. Since no schedules or additional forms can be filed with a Form 1040EZ, the EZ is truly for the most simple of tax returns. If your tax situation is very straightforward, file the 1040EZ. But if you’re not certain, make sure you understand what you might be giving up in dollars to gain that easy filing. For 1040Ez or straightforward tax returns, you can file for free with TurboTax Online Free Edition. I’ve learn some excellent stuff here. Definitely value bookmarking for revisiting. I surprise how so much effort you place to make any such great informative website. Being Disabled saved me about 28 Dollars in taxi fare to get form and as My Brother said. His is more complicated than mine but is always pleased ewith results and help get him MAXIMUN return Thanks from Both of us!! !